Iraqi Christians are begging for help from the civilized world after Mosul, the northern city where they have lived and worshiped for 2,000 years, was purged of non-Muslims by ISIS, the jihadist terror group that claims to have established its own nation in the region. Assyrian Christians, including Chaldean and Syriac Catholics, Syriac Orthodox and followers of the Assyrian Church of the East have roots in present day Iraq, Turkey, Syria and Iran that stretch back to the time of Jesus Christ. While they have long been a minority and have faced persecution in the past, they had never been driven completely from their homes as has happened in Mosul under ISIS. When the terror group ordered all to convert to Islam, pay a religious tax or face execution, many chose another option: flight. “By 12 noon on Saturday, the Christians — all of them — left the city,” Yousif Habash, an Iraqi-born bishop of the Syriac Catholic Church, told FoxNews.com. Mosul, Iraq’s second-largest city, included 60,000 Christians in 2003. By last month, the number had dwindled to just 35,000. It now stands at zero, according to Ignatius Yousef Younan III, patriarch of the Syrian Catholic Church. “We have to pray to wake our master, the Lord Jesus,” a somber Younan, who was in Mosul earlier this month and has discussed the situation with the Pope, said Wednesday on Fox & Friends. Habash, who roundly criticized the Obama administration and the United Nations, specifically, for what he called their “careless absence” in taking action against the militants, said such violent intolerance demanded action from the international community. Mosul, Iraq’s second-largest city, is the “first cradle of Christianity in Iraq,” Habash said. But after Islamic militants seized the city on June 10, Arabic letters with a chilling ultimatum were left at the homes of Iraqi Christians. “The letter said that if you don’t convert or if you don’t pay, there is a sword between you and us, meaning execution,” Habash said. Iraqi Prime Minister Nouri al-Maliki condemned ISIS’s actions on Sunday, a day after Mosul’s Christian population fled to other areas, such as the nearby self-rule Kurdish region. Pope Francis also called for an end to Christian persecution in Mosul, holding a moment of silence Sunday in St. Peter’s Square at the Vatican. The U.N. said on Sunday that at least 400 families from Mosul — including other religious and ethnic minority groups — had sought refuge in the northern provinces of Irbil and Dohuk. Dr. Sallama Al Khafaji, a member of the Iraq High Commission for Human Rights, reportedly told a local news agency that ISIS militants forced their way into the home of an Assyrian family in Mosul, demanding a “jizya” or poll tax. When the family said they could not produce the money, three jihadist militants raped the mother and daughter in front of the husband and father, who later committed suicide, according to the report. Mosul is home to some of the most ancient Christian communities, but the number of Christians has dwindled since 2003. On Sunday, militants seized the 1,800-year old Mar Behnam Monastery, about 15 miles south of Mosul. 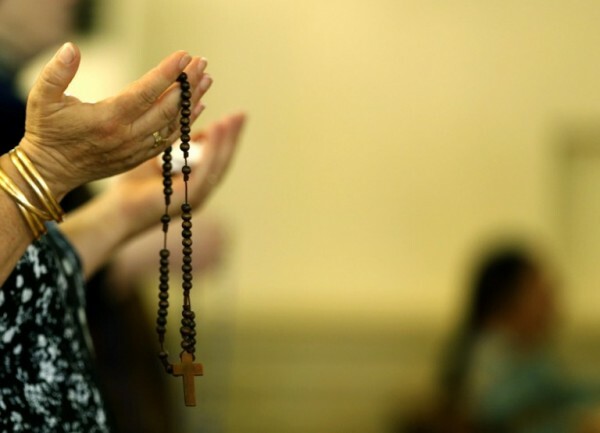 The resident clergymen left to the nearby city of Qaraqoush, according to local residents. Irbil’s governor, Nawzad Hadi, has pledged to protect fleeing Christians and other minority groups. The territory is currently home to more than 2 million refugees and internally displaced people from Iraq and Syria, according to the United Nations.